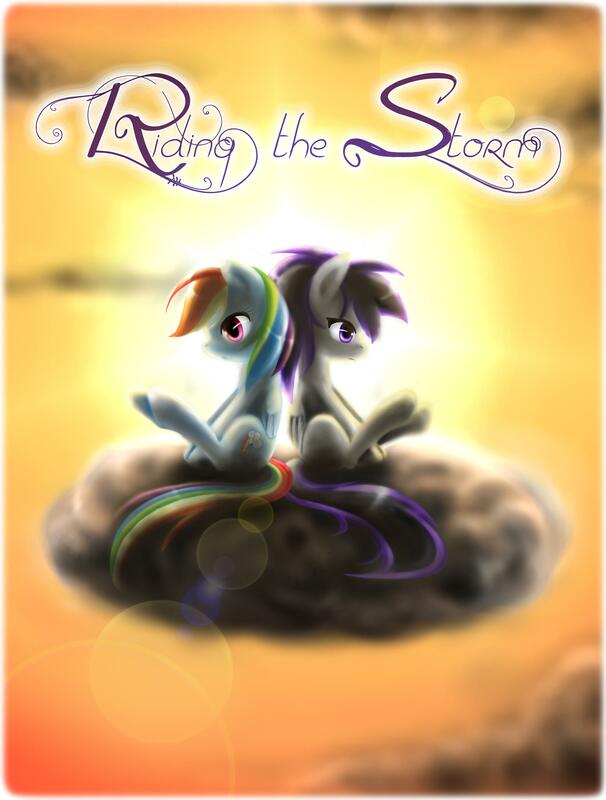 Welcome to the Riding the Storm webcomic! Ready to Ride the Comic?? Welcome to the Riding the Comic blog! What is this place? Who are we? Well, Lantheros is the author of some Italian fanfictions based on the My Little Pony series. MartinHello is an artist that draws ponies (…mainly!). Thanks to the efforts of some users, one of Lantheros’ fiction has been translated into English and MartinHello began to draw a dedicated webcomic that we’ll try to publish every 15 days. What’s so special about this story? Well, we often think that we could enjoy friendship only with people that we really like. Who could say otherwise? But what happens, however, when a unique and unexpected encounter exposes you to a reality that you had never before considered? What happens when a rude, stubborn, flightless pegasus challenges everything you thought about friendship? If you want to know more… this is the place! This entry was posted in Prologue and tagged comic, Friendship, IDW Publishing, List of My Little Pony: Friendship Is Magic characters, My Little Pony, My Little Pony: Friendship Is Magic, My Little Pony: Friendship Is Magic fandom, Relationships. Bookmark the permalink. Follow the blog and receive notifications by entering your email address. My Little Pony and the characters of the series are Hasbro registered material. All rights belong to them. This comic and the fanmade content in the blog are non-profit and designed for entertainment purposes only.